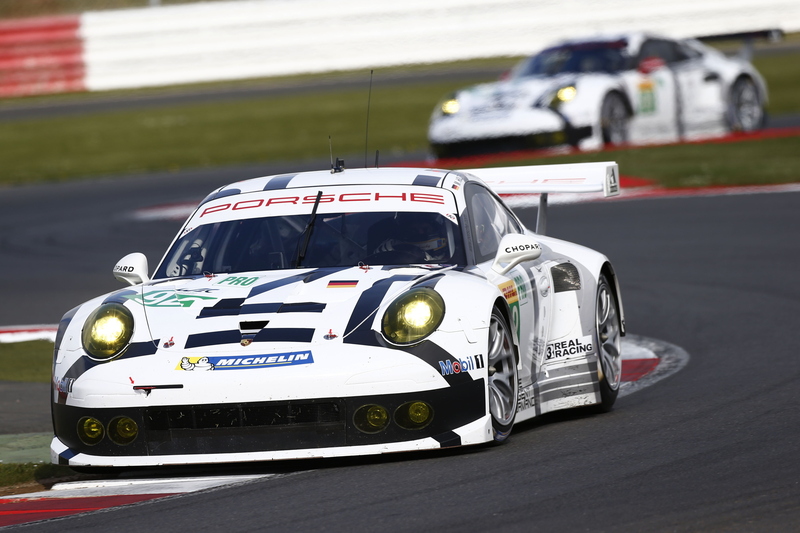 After a dominant showing at Silverstone, the two Porsche Team Manthey 911 RSRs have been handed a 25kg weight increase for the second round of the 2014 FIA World Endurance Championship at the legendary Spa-Francorchamps circuit. The FIA’s Balance of Performance rules allow the motorsport governing body to adjust car parameters to in order to maintain parity between the manufacturers in the WEC’s various classes. As a result, the 2014 Porsche 911 RSR will now run at a minimum weight of 1,235kg, as will the Ferrari 458 Italia. The Aston Martin V8 Vantage has been given a 15kg weight reduction after appearing to struggle at Silverstone. This means the British car will run at 1,195kg after having its ride height increased by 5mm before the start of the 2014 season. The Ferrari has been unaltered ahead of the Spa round, which gets underway with free practice this Friday.